The Juwel HeliaLux Spectrum is a high-performance LED light unit with a full spectrum and is direct replacement for Juwel aquariums. The state-of-the-art, specially developed LEDs guarantee maximum light yield for optimum plant growth while simultaneously realising energy savings of around 50%. White LEDs illuminate your aquarium brilliantly, while red, blue and green LEDs create intense colours and maximum contrast in your underwater world. The perfectly coordinated colour range promotes the vitality of your fish and ensures optimum plant growth. 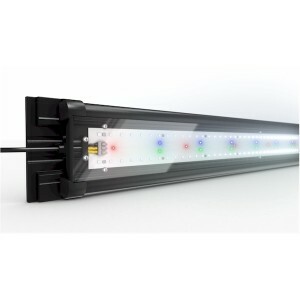 There are no limits to controlling these LEDs are used in conjunction with the HeliaLux SmartControl (not included). 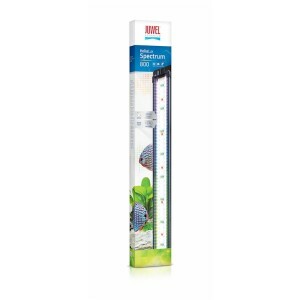 The combination of white 9000K and 6500K LEDs ensures ideal plant growth in your JUWEL aquarium. Special red, green and blue full-spectrum LEDs have been also employed in the HeliaLux Spectrum to create intense colours and maximum contrast. Developed for freshwater use only. Juwel Helialux Spectrum are currently only available for collection and payment in store.